I’m sharing another of the birthday projects from my recent birthday party class! Who can’t use an idea for a masculine card? If your anything like me, I always struggle for the manly ideas! 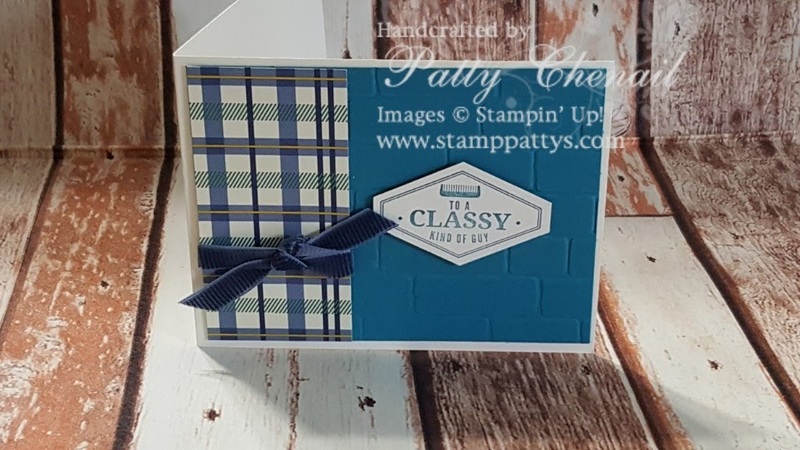 Using the Truly Tailored stamp set makes creating the manly projects so easy! In addition to the stamps, there is a coordinating punch and some of the most incredible designer series paper! !